The Staffordshire Moorlands village of Werrington has become well known for a wide range of community activities which run throughout the year by the Werrington Community Volunteers Group. 2015 saw a new addition to the list when the group launched its first Scarecrow Weekend which was such a remarkable success that it has now become an annual fixture. 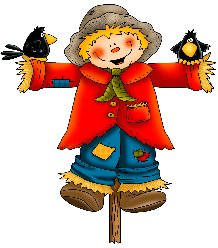 The Scarecrow Awards will take place at 1pm on Saturday 15th at the Methodist Church at 1pm where refreshments will be served from 11 to 4pm. On Sunday refreshments will be served at Werrington St. Philips Church from 12.30 till 4pm Tea and cake will be £2.00 with funds being shared between the churches and the Werrington Community Volunteers group. point for the Scarecrow Trail will be the new Community Library from 12 until 2 on Saturday and Sunday where the maps will be available to start your trip.